Scientific integrity from the perspective of Scientific and Technical Information processing (STI). If scientific integrity is close to all aspects of the researcher’s work, to the scientific practice in each research field (either at the lab bench, or collecting and producing data, or during the writing phase etc ), it equally involves the scientific publication as well as the evaluation process. In this regard, it entails an essential dimension, which takes seriously to task the actors of scientific and technical information processing (STI). The 7th URFIST National Seminar will therefore be dedicated to work out a « STI approach » of scientific integrity and to examine, in such an especially expansive topic, the components which impact more particularly two of the cornerstones of the STI : the scientific publication ecosystem on one side, research assessment and bibliometrics on the other. Finally, this Seminar will tackle the question of the positioning of the STI specialists, facing the rising prevalence of the scientific integrity topic in the field of higher education and research. Frauds in facts, social and academic stakes, typology of frauds, etc. Foreseen Speaker(s) :Doctoral Student’s Feedback : A. de la Blanchardière ?? 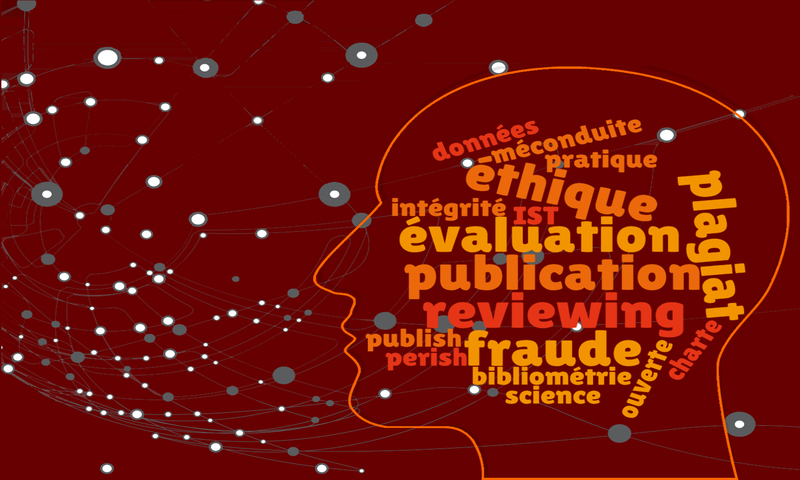 Testimonies and Feedbacks on Research Misconducts or Frauds in Journals Experienced by Editors : Peer Review Troubles, Conflicts of Interest, absent or weak Evaluation Criteria, Problems in Authorship, Plagiarism Detection, Retraction Process, etc. Journals Publication Ethics Policies : Charts, Guidelines, role of COPE ((Committee On Publication Ethics : https://publicationethics.org/), etc.